HOPE Africa aims to raise funds to build a not-for-profit youth centre, dedicated to providing social, educational and recreational services to the marginalized community, with an emphasis on youth activities and community welfare. Library and Study area in which students of all levels will have the opportunity to deepen the knowledge acquired at school, as well as utilise computer facilities and embrace reading as a leisure time activity. Sporting Fields as well as facilities that will include change rooms with showers and toilets. The facility will enable the community in the informal settlement, especially the youth, to organise sport activities that will not only contribute to their development but also help them productively utilise the time that they might otherwise spending roaming the streets. As Namibia continues to embrace its rich cultural heritages, we also hope to include a community meeting place along with an amphitheatre which would offer opportunities for the community to host cultural events and performances. 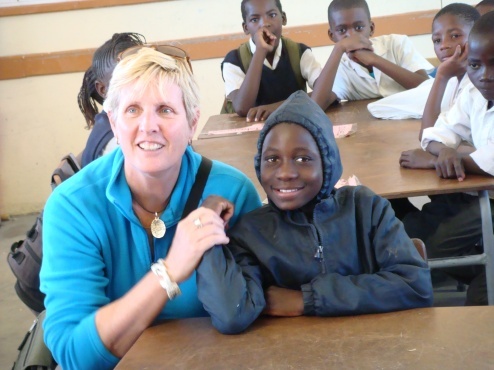 The Rotary Club of Macquarie Park has embarked on a journey of love and compassion, one that will hopefully endure in its support of the underprivileged youth of Otjiwarongo. In doing so, we are privileged to be working in partnership with indigo foundation. indigo foundation’s “respectful partnership” approach to working with communities in many countries, and highly successful previous ventures with Rotary to provide educational facilities for marginalised communities in developing countries, will bring to this project a level of experience and proven processes which will help to ensure that our goals are achieved. The project in Otjiwarongo will join indigo foundation’s Africa Program, which includes projects in Uganda, Rwanda and South Sudan. Africa is a continent of contradictions. Its breathtaking scenery and exhilarating natural beauty veils a large part of the population in abject poverty. Is it any different to other less fortunate countries in the world? Perhaps not, but it's a land that quickly gets under your skin. One’s senses and emotions are starkly awoken by every experience, and the incongruities become increasingly fascinating….oppressive dry hot days and freezing cold nights, lush green riverbanks and desolate sandy desert, the raucous sounds of animal herds becomes deafening silence when they’ve passed, and the majestic plains bear no resemblance to the shanty towns. It’s totally ironical – raw wondrous beauty versus a population who live a life filled with constant challenges. It draws you in and keeps a little bit of your heart until the next time you visit. Such was the beginning of a love affair with Namibia - a lesser known country in south west Africa, and in particular the town of Otjiwarongo. Some members of the Rotary Club of Macquarie Park made a chance meeting during their first trip to Namibia in 2003. Since then they have participated in a locally (in Otjiwarongo) run program that targets particularly vulnerable and underprivileged children in the town and financially supports them in every facet of their life. The program sources, secures and finances all of the basic needs of the children, but most importantly education. Through this program, our members have developed great personal and working relationships that have essentially been the impetus for this new initiative and project – the discussions for which were born in 2011. Who would have thought that a(nother) chance meeting, a “getting to know you” chat and some impassioned discussion about Africa could or would initiate a project to assist underprivileged youth….in a little known town in a less familiar country in Africa. Such is the irony of this story. The areas of intervention of this project are situated in the outskirts of the formerly black-only “Orwetoveni” residential area of Otjiwarongo which is characterized by informal settlements. The main inhabitants of these areas are people living in extreme poverty and as a consequence have little to no opportunity to support basic needs such as food, shelter, health and education, let alone recreational facilities. The youth centre will be established in direct partnership with the office of the Otjiwarongo Constituency Councillor and community based Non Government Organisations (NGOs) involved in youth matters. It will be governed, administered and sustained by the Otjiwarongo Municipality (Council) in consultation with community partners. It is an enormous undertaking, but the benefits will be significant. Through increased access to quality and affordable education, skills training and recreational facilities, this project aims to give a sustainable social and economic empowerment to the less-privileged children and their families. It is against this background that Macquarie Park Rotary Club can make a meaningful contribution to this vulnerable community by empowering the youth through education that will ultimately provide them the opportunity to have a better adult life. 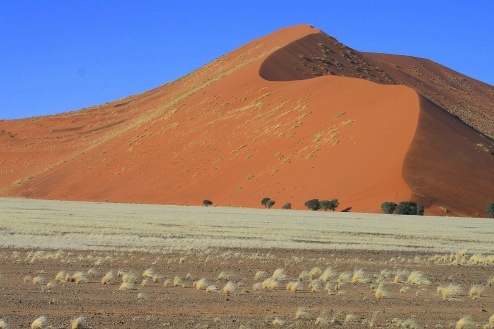 NAMIBIA was colonised by the Germans in 1884; it was known as “South West Africa” until Independence in 1990. With a population of approximately 2 million, Namibia is said to have the highest degree of inequality by income distribution in the world. The official language is English, but most speak Afrikaans and/or German as well as their various tribal “mother tongue” dialects. The majority of the people are Christians. Approximately 50% live below the international poverty line and, as with other African countries, the economy suffers greatly from HIV/Aids. Whilst the country is slightly larger in area than New South Wales, it is predominantly desert. The currency is the Namibian Dollar and it trades at the same rate as the South African Rand – currently at about 8:1 (AUD). OTJIWARONGO has a population of approximately 40,000 and is known as the “Cheetah Capital” of the world – 20% of the world’s cheetah population live in the surrounds. The second largest town, it is located in the centre of Namibia and is 250kms north of the capital of Windhoek. 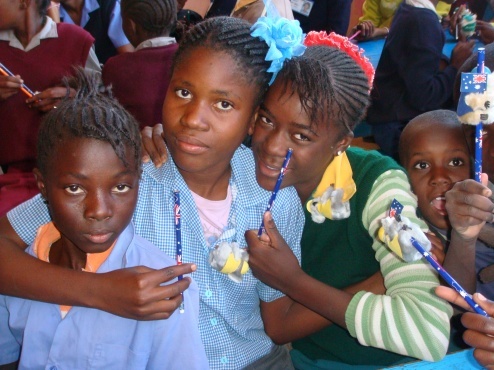 Typically representing greater Namibia, there are high levels of inequality and HIV/AIDS is pandemic. The residential area is “the great divide”. Women generally survive longer than men (predominantly due to HIV/AIDS), but are low income earners. Women and children are the most vulnerable and there are an ever growing number of orphans. Enormous numbers live in poverty in informal settlements – some in mud huts with no water or electricity; water is purchased from shared “wells”. Physical and sexual abuse is not uncommon. 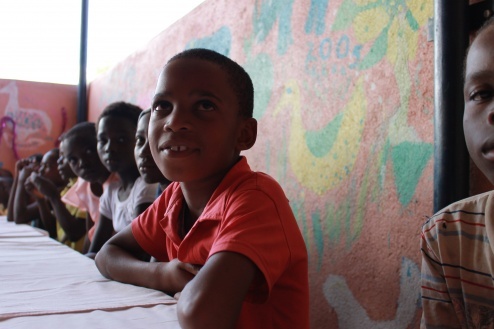 Children have to walk long distances to school – if they are able to attend school. Many families are totally without employment and can barely afford to survive, let alone send their children to school. 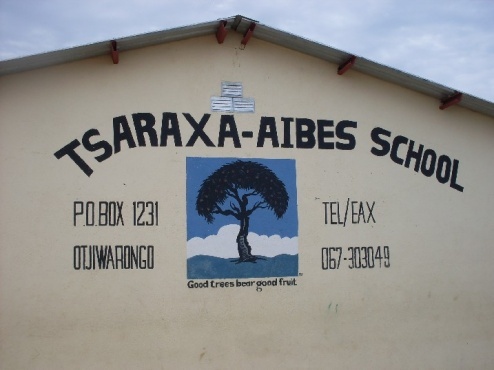 If they are fortunate enough to secure farm work, it would typically be in remote rural areas where there is no access to schools so they are then faced with the option of leaving their children with family or friends in town so they can go to school, or try to secure a place in a “hostel” (best described as boarding school, but very basic). Unfortunately, access to the fundamental human needs of food, water, shelter, safety and education is not necessarily a given in Otjiwarongo or Namibia as a whole.